Why was the first human ever captured on film caught by pure luck? Where is the human blind spot, and why don’t you realise you have one? What does authenticity mean in an art where originals can be reproduced infinitely and manipulated flawlessly? Packed with world-renowned photographs, from the daguerreotype to Polaroid and biographies of leading photographers, this book will capture your curiosity and expose you to new ideas about your camera, your photography and the visual culture that surrounds you. From the science of converting light into digital information, to the philosophical implications of freezing a moment in time, big ideas are tackled in bite-sized units: two pages, 300 words and one representative image at a time. Understand the 50 most thought-provoking concepts, techniques and technologies that have shaped photography into the ever-present art form it is today. 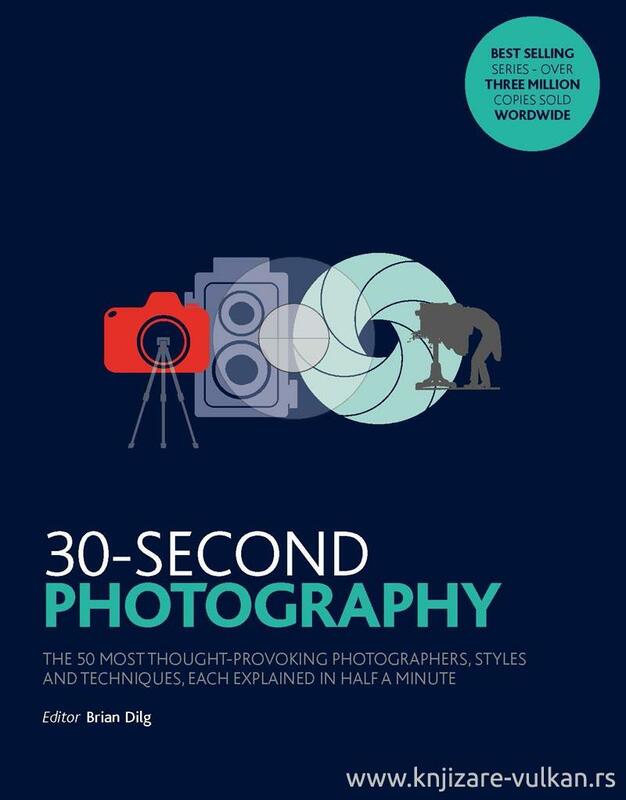 The bestselling 30-Second series offers a new approach to learning whereby every title takes a popular topic and dissects it into the 50 most significant ideas at its heart, explained in just two pages that are easily digested in only half a minute.